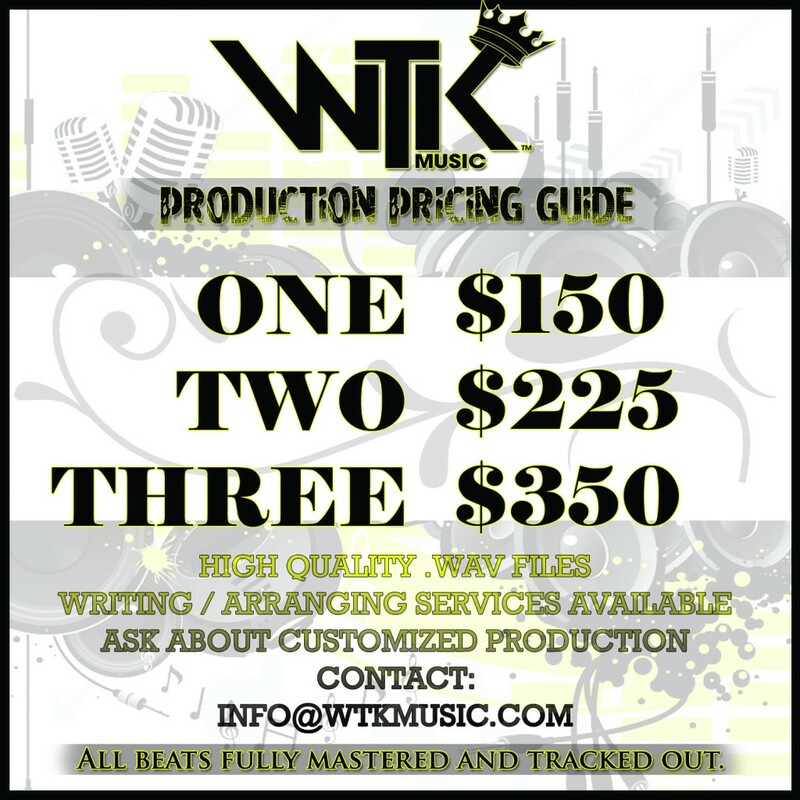 WTK Music » WTK Music Production! Yes! Beats are coming to town. The brand new “WTK BEATS” are ready for YOUR artistry. Each beat is exclusive, giving your single, EP, or album a unique sound never heard before! Take a listen and shoot an email to info@WTKmusic.com for inquiries.